This is a familiar theme for Sanders, who has attacked the unworthy rich in every campaign he has run since 1972. His socialist playbook has always called for a sharp focus on perceived injustices that can motivate people to vote for redistribution of income and wealth from rich to poor. Its strategy is to make the uncontestable fact that some people are rich, or just well to do, a source of resentment and envy among voters who have little or nothing. Then urge them to put socialists into power to redress this “unfair and grotesque” injustice, at the expense of unworthy others. The premise, of course, is that “the rich(er)” got that way by stealing the “surplus value” created by the labor of the working class. As an example of the unworthy rich, Sanders told the students that “the family who owns WalMart alone possesses more wealth than the bottom 42 percent of all Americans combined.” The company’s stock has been publicly traded since 1970, but it’s certainly true that the heirs of WalMart founder Sam Walton (died 1992) have a greater collective net worth than the bottom 42 percent of all Americans combined, only part of which is WalMart stock. By comparison, the bottom 40% of U.S. households have a total net worth on the order of… zero. The Bernie Sanders household alone has a greater net worth than all of their fellow Americans in those two lower quintiles. What’s so unfair about this? Let’s do a quick trip through Wal-Mart history. Sam Walton earned his way through college, served in WWII, and worked and saved to buy a Ben Franklin “five and dime” store in Newport, Arkansas (1950 pop. 6,000). After seventeen years opening small stores in small towns, Sam hit on the idea of WalMart. He opened the first one in Rogers, Arkansas in 1962. As it developed over the years, WalMart prospered by offering a wide range of products at prices attractive to rural, small town , and often lower income customers. Sam’s innovations included an almost fanatic attention to squeezing out waste, driving hard bargains with suppliers on price, quantity and delivery, and installing a pioneering computerized inventory management system that brought goods to the shelves just before they were purchased by consumers. Sam created his own trucking fleet and regional distribution centers. Over time the company expanded with Sam’s Club, aimed at small business customers, Super Centers that include groceries, and online marketing. WalMart’s motto is “everyday low prices”, and it operates almost entirely without advertising. WalMart pays competitive retail industry wages in the localities it serves. The company also offers its employees contributions to 401(k) investment plans, tuition assistance, disability insurance, and a health plan that pays on average 75% of eligible employee premiums, 100% of preventive care costs, and employee-owned Health Savings Accounts funded with $600 company contributions. As a result, Sam Walton’s heirs, and many of their long time employees, became very wealthy, and make enormous charitable contributions. Last year the Walton Family Foundation announced it would grant $2 billion over the coming five years (in addition to corporate grants) to support environmental, education and community improvement projects. There is a lesson here, that the Academy students surely will never hear from Bernie Sanders. Sam Walton’s strong principles, honesty, hard work, risk taking, innovation, and concern for his co-workers built an astonishingly successful enterprise that has served the needs of millions of consumers, especially those on tight family budgets. And yes, the result was great inequality. Would a monopoly chain of taxpayer-capitalized, government-owned bureaucratically- managed retail stores, created to put an end to “grotesque inequality”, be likely to achieve as much? Students, let’s have a vote: SandersMarts, or WalMarts? 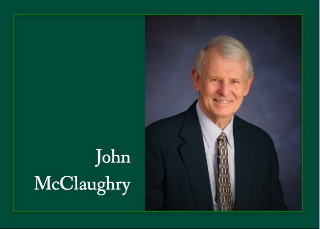 – John McClaughry is vice president of the Ethan Allen Institute (www.ethanallen.org). EAI has never received a contribution from WalMart or the Walton family.